It can be confusing when looking for bug repellents that are safe for autistic children. Why are parents concerned about insect repellents, and how do you choose which product to use? Deet is an active ingredient used in many bug repellents that may be a neurotoxin. Research has found that deet is toxic to the central nervous system in mammals an insects, which makes many parents leery about using the product. However, more research is necessary to determine if the chemical is toxic to humans. Ingesting the chemical is serious, and parents may benefit from exploring options that are nontoxic when their children tend to put things in their mouths or tend to lick as a form of self-stimulatory behavior. Children prone to seizures have significant neurological problems and it may be best to use alternatives to deet-based bug repellents. Alternatives to deet run the gamut from herbal remedies to over the counter products. Some of the products may be less effective than deet, while others may be equally, if not more effective than deet is. 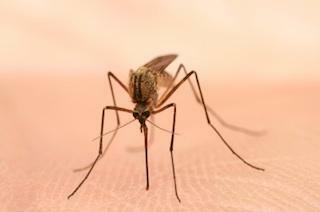 Vitamin B1 (thiamin) supplements can keep mosquitos at bay. Many parents consider B vitamins as an alternative treatment for autism, and with the added benefit of warding off mosquitos, the approach looks very appealing. Ideally, doses of B1 should come from foods like beans, asparagus, potatoes and oranges, but many kids on the spectrum may shy away from some of the foods. If you are considering vitamin B1, talk to your child's pediatrician about the approach. It isn't nearly as protective as chemical insect repellants, but it can help. Avon's Skin So Soft Bug Guard is an excellent alternative to deet-based products. It is important to note that this product does contain a pesticide called picaridin that has a low toxicity level, according to the United States Environmental Protection Agency.Parents who want to avoid using pesticides completely may want to consider using Skin So Soft original bath oil spray. The drawback of this product is its strong fragrance and oily feel. Some kids may find the scent distracting and overpowering. Insects can carry diseases, which makes their bites potentially harmful to a child's health. Children with compromised immune systems need every line of defense necessary to protect them from illness. Bug repellents offer relief from itchy bites that can wreak havoc on an autistic child's sensory processing, and they can protect them from illness. Finding bug repellents that are safe for autistic children is an important matter. No matter which approach you choose, make sure to talk to your child's doctor or neurologist about your selection. If nothing is as appealing as deet is, please follow the Safety Precautions When Using DEET on Children from the American Academy of Pediatrics.